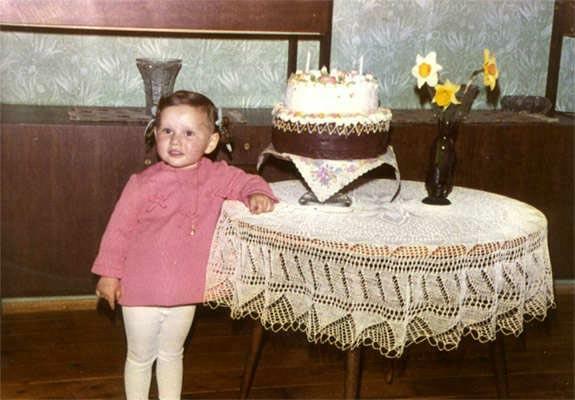 On the 30th of March 1969, Anuska Znidersic came weeping into the world, a girl, who has shown its singing talents already as a child, when she liked singing and performing in front of the audience. Love of music was a part of her life her entire childhood. She has sung in a choir, performed as a solo singer at different events, she attended music school and learned to play the accordion. At the end of primary school she has joined a group of young musicians, and this were her first steps into the world of ”show business”. She also has pleasant memories to the period of secondary school, especially because she met her husband Frenk at that time. The band that he has been playing for was looking for a singer and decided to take Nusa, and thus she started paving the way to acquire new musical experience. At that time, she also attended the short singing course with Nada Zgur, who helped Nusa give the final touch to her singing technique and to prepare her for new challenges. While she had tried to focus on her profession and has been already working as a trainee in kindergarten, while also attending a part-time studies at a higher pre-school education school, singing in the group and travelling all over Europe dragged her even deeper into the music. In 1990, the band broke up and a new one was established, which started its professional performances in Slovenia, Germany, Switzerland and the United States. They have been performing for seven years, which were, according to Nusa, beautiful and unforgettable, but also very tough, as they held from 150 to 180 performances a year. In 1995, she and Frenk got married and started settling in Slovenia. Nusa has been dreaming for a long time to record a solo album and her wish was closer to realization at that time. In 1998 she won the show Orion with the song Vzemi me veter, which was written by her friend Majda Arh. A year later, her dream to issue her debut album came true – she issued an album titled Vzemi me veter. Year 1999 has been very successful for her since she was also rewarded the best singer at the Slovenska popevka festival (Slovenian song contest) for the very first time, and she received the second audience award at the MMS festival for performing the song Boginja, written by Ursa and Matjaz Vlasic and Bostjan Grabnar. In collaboration with the same authors, she won the show Orion again in April 2000 with the song Cez dvajset let, while she was also rewarded or selected for the best singer for the second time. Abovementioned authors accompanied her at the MMS festival in 2000, where she received an audience award for the second time for the song Ne klici me. In November 2000, Nusa won the first Hit Festival with a song Ni mi zal, and in December same year, she published a new album with the same title. She thought at that time that 2000 has been the most successful year for her, but she was wrong. A year later she won the festival EMA, which has brought even greater media visibility. She knew the song Ne, ni res (Energy) was very good, while this was additionally confirmed at the Eurovision Song Contest in Copenhagen in 2001, where Nusa was placed on the excellent seventh place. Thanks to her successful performance at the Eurovision Song Contest, in 2001 she was invited to the Romanian Brasov to the international pop festival GOLDEN STAG, where she received a special award of the Ministry of Culture for the best interpretation. She toured all around Europe at that time. She also stopped in Germany to perform at the Eurosong fan club party in Cologne, and she also held a solo concert, while at the end of October 2001 she was invited to Croatia to perform at Zadarfest, where there was another surprise waiting for her. The expert jury rewarded the song Ako moj je grijeh the second and she also received the award for the best lyrics. She performed at the Zadarfest also in 2002 and 2003 and Croatian audience always welcomed her nicely. Her successful career continued in 2001, when Nusa won an award “Viktor” for her popularity in music as voted by the readers of Stop magazine, which grants the award. Her collection of awards also includes an award called Zlati petelin for the song Ni mi zal. Successful and at the same time also very difficult year ended with her being nominated one of the candidates for the flattering title Slovenian woman of the year 2001. The year 2002 was marked by victory at the festival Slovenska popevka with the song Pesek v oci, while at the beginning of December Nusa issued her third solo album titled Na stiri oci. In 2003, she performed at the third Hit Festival, where she won with the song V ogenj zdaj obleci me. The song also received numerous awards of professional jury, namely for the best lyrics, written by Ursa Vlasic, for the best adaptation by Ales Cadez and for the best song by author Matjaz Vlasic. A band Primavista accompanied Nusa at this festival and they remained her accompanying band up until today. n April 2004, she issued a new album “Greatest Hits 1998 – 2003”, which includes 20 most successful songs from her initial period and some of the most popular songs, such as Cez dvajset let, Ne, ni res, Boginja, Prvic in zadnjic and many others. In the same year, the album received a silver disc of the ZKP RTV Slovenia. In September of the same year, she also attended the third Mediterranean Festival Megahit 2004, which was held in the tourist centre Fethiye in southern Turkey. With the song Devil she won the third award among fifteen performers. In February 2005, she decided to participate in the Eurovision Song Contest again. Although she did not win the pre-selection festival EMA with the song Noe, Noe, the song was very appreciated among the listeners. After so many recognitions and awards, Nusa decided to look for other challenges. In February 2006, she organized and performed in her first solo concert in the cultural centre Cankarjev Dom, where she performed together with the RTV Slovenia Symphony Orchestra and the Big Band RTV Slovenia, a conductor Patrik Greblo and renowned guests, Ditka Haberl and Johnny Logan, which gave even greater significance to her concert. She did not rest even in 2008. After a few years break, she issued a new album Prestiz in April with the help and support of author and producer Raay and Menart Records, and also recorded a video for the song Danes vracam se. Despites my continuous success in the field of music, the most important are my sons Matevž and Gasper, and my husband Frank. Even the most important successes would be insignificant without her family. A “Tip-Top” song brings Nuša back to EMA after six years!